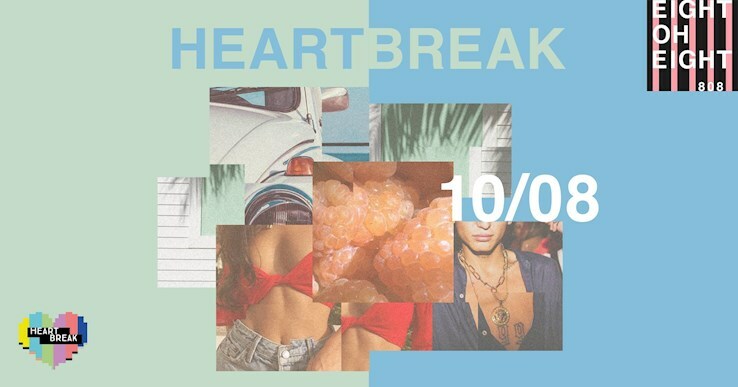 This event "Heartbreak" @ 808 has already ended on 08/10/2018. Here you can find upcoming events for this location! With our 2nd August edition, we keep surfing on that #Heatwave ! What's even better though; our one-of-a-kind Air Con will keep you chilled and cool - all night long! Our Line-Up for this week lists no others than the homies DJ Maxxx & DJ Kitsune - two 808 legends, ready to spin the hottest in HipHop, RnB & the good old classics! Nothing left to say other than - T.G.I.F and let the good times roll! See y'all on the floor!